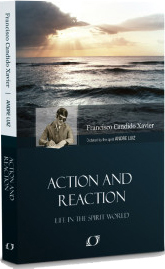 In the book, Action and Reaction, by Francisco (Chico) C. Xavier, inspired by the spirit Andre Luiz there is a discussion about the power of thought. Andre was at a shelter, built and sponsored by Andre’s celestial city, Nosso Lar. The shelter, “Mansao Paz”, which means Mansion of Peace in English, is in the Lower Zone, so it can be close to the souls who wish to leave and ascend. First note that our thoughts move faster than the speed of light. In the spirit plane, the speed of light isn’t the universal speed limit. Second, we receive thoughts and process them. 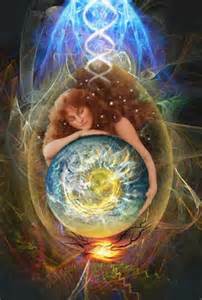 While in an incarnate state we do so subconsciously. 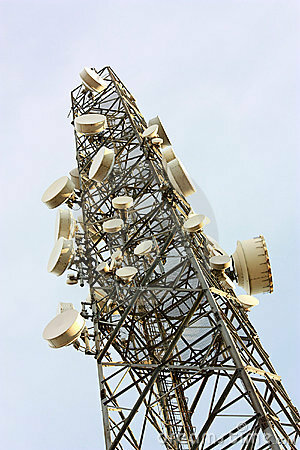 We live in a world where we are being affected by forces that we do not detect. Our negative thoughts attract other negative thoughts, creating an ever stronger feedback loop. This is why the advice to get yourself out of a depression is to think positive or become preoccupied with something else is actually an excellent suggestion. We need to break the cycle and cease reinforcing reasons for our failure. Instead, we should strive to prepare ourselves now for our life as a spirit and recognize the power of thought and train our minds to remain positive and caring. When problems arise, we should trust in our life blueprint and know that any trial ahead is one that we requested. Staying calm and focused during any difficult episode is half the battle. If you wish to learn more about your destiny, please read my book, Explore Your Destiny: Since your Life’s Path is (mostly) Predetermined. Your purpose in life and how you are expected to learn and ascend is thoroughly described.